Our guest faculty provide guidance to QuartetFest participants and perform throughout the festival. 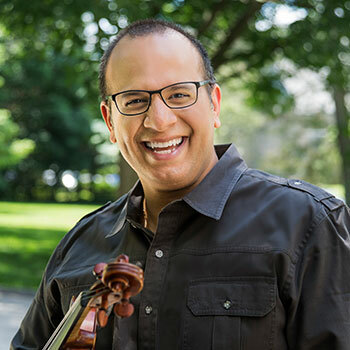 After graduating with honours from the Cleveland Institute of Music, Salerni went on to study at the Yale University School of Music where he won the Yale Chamber Music Society competition and the Phyllis Curtin Career Entry Award. 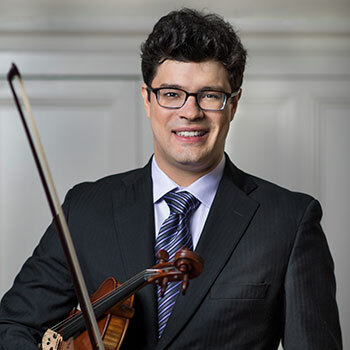 He was a finalist and laureate of the first inaugural M Prize at the University of Michigan in 2016, a laureate of the 2009 International Sion-Valais Violin Competition, and a semifinalist in the 2015 Schadt International Violin Competition. Domenic looks forward to a robust touring schedule this season with the Dalí Quartet which includes a U.S. and Canadian tour with pianist Olga Kern, and performances and a recording project with clarinetist Ricardo Morales. As part of the Dalí Quartet residency at West Chester University, Salerni will be a featured faculty soloist with the West Chester University Orchestra and will appear in his first faculty recital with guest pianist Efi Hackmey, as well as chamber music collaborations with WCU faculty. Violinist Carlos Rubio began his musical career as a member of Venezuela's famous Youth Orchestra System ("El Sistema"). As a member of the Simón Bolívar Symphony Orchestra, he toured France, Japan, U.S., Mexico, Spain and participated in seven CD recordings under the Dorian Records label. Carlos has taught master classes and performed at Miami University, Wilfrid Laurier University in Canada, University of Wisconsin Eau Claire, University of Tennessee, Drake University, University of Iowa, University of Nebraska at Omaha, Festival de Música Latinoamericana in Colombia, Festival y Academia del Nuevo Mundo, the Simon Bolivar Conservatory of Music in Venezuela, Colorado State University, and is a founding member of the Dalí Quartet International Music Festival. Carlos was awarded grand prize in the Spanish and Latin American Music Competition at Indiana University Jacobs School of Music and was distinguished as the Ohio Latino Arts Association's Performing Artist of the Year. He has soloed with the Middletown Symphony, the Illinois Philharmonic, and the Oxford Chamber Orchestra. His chamber music partners have included the Colorado, Oxford, Penderecki, DaPonte, and Amernet string quartets, clarinetist Ricardo Morales, pianists Alessio Bax, Olga Kern, Vanessa Perez, Pamela Mia Paul, and cellist Marc Johnson of the Vermeer Quartet. Additionally, he has collaborated with such composers as Joan Tower, Joel Puckett, Edward Thomas, Susan Botti, Ricardo Lorenz, Efrain Amaya, and Manena Contreras. He has also premièred works by composers Roland Vasquez, Paul Salerni, Terry Vosbein, Diana Arismendi, and Arcangel Castillo-Olivari. Venezuelan violist Adriana Linares is one of today's most talented Latin American artists. Her playing has been called "meltingly beautiful" by Naxos label reviewers. She was the first prize winner in the Latin American Music Competition at Indiana University, the Kuttner Quartet Competition and the Solo Viola Competition at Indiana University, which earned her the honour of soloing with the Indiana University Symphony Orchestra. Adriana is described by Grammy Award-winning violist Roger Tapping as "a violist of extraordinary merit and ability who is not only excellent but also distinctive, characterful and individual." Highlights of solo engagements include her debut at Carnegie Hall with the U.S. première of Venezuelan composer Modesta Bor's Sonata, as well as solos with Arcos Juveniles de Caracas Orchestra, Virtuosi de Caracas, Middletown Symphony, the Illinois Philharmonic and the Philadelphia Virtuosi Chamber Orchestra, with whom she performed the world première of Howard Hanson's Summer Sea Side #2, recorded under the Naxos label. Adriana is the President, Founder and Artistic Director of ArCoNet, The Arts and Community Network, a nonprofit organization based in North Wales, PA. She has launched many programs under the umbrella of ArCoNet, including a string academy with 120 students, a youth and chamber orchestra, intensive solo boot camps, the Dalí Quartet International Music Festival, community outreach partnerships, college preparation programs for local and international students, junior string camps, concert series, and preschool programs among others. Adriana is the founding violist of the Dalí Quartet, with whom she has embarked on recording and performing projects in the U.S. and abroad. She serves on the faculty at West Chester University as part of the Dalí Quartet residency. She is a member of the IRIS Orchestra, SATORI Chamber Players, and the Harrisburg Symphony Orchestra. 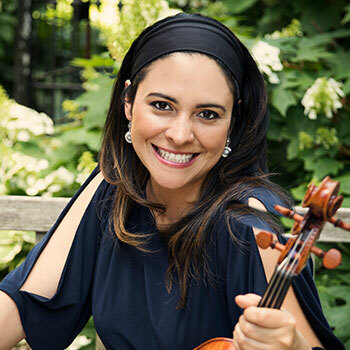 Adriana holds a master's degree from Temple University, where she studied with violist and Curtis Institute of Music President Roberto Diaz. She also holds a bachelor's degree from Indiana University where she studied with distinguished violist Atar Arad. Jesús solo appearances include the Philharmonia Bulgarica, the San Bernardino Symphony, New Mexico Symphony Orchestra, the Orquesta Sinfonica de Puerto Rico, the Camerata Symphony, the National Repertory Orchestra, the Starling Chamber Orchestra, and the Festival de Orquestas Sinfonica Juvenil de las Americas. As a recording artist, his recordings of the Saint-Saëns and Lalo cello concertos on the Centaur label, were received with rave reviews. Jesús has participated in summer festivals including, the Casals Festival in Puerto Rico, Banff Centre for the Arts, Grand Teton Music Festival, Kneisel Hall Chamber Music Festival, Bowdoin Music Festival, Eastern Music Festival, and Música Rondeña in Albuquerque, New Mexico. He has also performed in recitals and chamber music concerts in Canada, Mexico, Venezuela, and St. Thomas, VI. 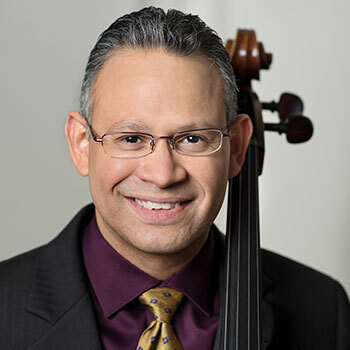 Jesús holds a bachelor’s degree from The Cleveland Institute of Music and has done postgraduate work at The Cincinnati College Conservatory of Music. His teachers include Dr. Ronald Crutcher, Alan Harris, Helga Winold, and Yehuda Hanani. He studied chamber music with Peter Oundjian among others. He resides in Philadelphia with his wife, violinist Dara Morales, and daughters Isabel and Karina. A regular participant in international summer music festivals, including those of Busan (Korea), Leicester (UK), Cape and Islands (U.S.), Casalmaggiore (Italy), Lviv Contrasts (Ukraine), International Musicians Seminar (UK), Chamber Music East (U.S.), Shen Yang and Beijing (China), Festival of the Sound, Domaine Forget and Ottawa Chamberfest (Canada), he has collaborated with artists such as Boris Berman, Miriam Fried, James Somerville, Paul Neubauer, James Campbell, Marc-André Hamelin, Steven Dann, Stéphane Lemelin, Scott St. John, Joshua Bell, and with the St. Lawrence, New Zealand, Penderecki and Lafayette string quartets. He has appeared as soloist the Belgrade Philharmonic, London Philharmonia, European Chamber, Winnipeg Symphony, Vancouver Symphony, Symphony Nova Scotia, Kitchener-Waterloo Symphony, Thunder Bay Symphony and Manitoba Chamber orchestras. Engagements have included London’s Wigmore Hall, Boston’s Jordan Hall, Chicago’s Cultural Centre and Geneva’s Victoria Saal. 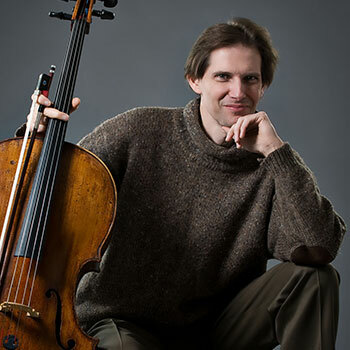 Since 2000, Paul has been president and artistic director of Canada’s Agassiz Summer Chamber Music Festival in Winnipeg, and in 2011, as artistic director, he inaugurated the International Cello Festival of Canada, a triannual festival also taking place in Winnipeg. From 2005-2012, he was a member of the Trio Hochelaga, one of Canada’s leading chamber ensembles, with which he recorded a series of five discs of French music on the ATMA Classique label. Paul has made several compact disc recordings as soloist and chamber musician. His first CD, released by United Records, contains cello sonatas by Shostakovitch, Prokofief and Schnittke, and was described as “emotionally intense, physically big-boned” (Gramophone Magazine), and ”over-flowing with health, the joy of playing, and flamboyant brilliance” (Répértoire, France.) His recording of the complete works of Ernest Bloch for Signum Classics has also received favorable reviews; “an excellent recording, this release deserves enthusiastic recommendation” (BBC Music Magazine) and “a fine cellist with astute command of style and formidable technique” (Strad magazine). Other releases include Swirl for solo cello by Jim Hiscott on the CBC Records label, as well as chamber music recordings for RCA Victor and CBC Records. His concerts and recordings are frequently heard on CBC radio, BBC radio, NPR affiliate stations in the United States and around the world. Paul is a devoted teacher at has given masterclasses at the Royal Northern College of Music (UK), the Royal Scottish Academy (UK) and the Royal Academy of Music (UK), at the University of Belgrade in Europe, at Lawrence, Michigan, Laurier, McGill, Alberta and Western universities and the Glenn Gould School in North America, and at the Busan (Korea), Xian, Beijing Central, Hangzhou, Jinan and Shen Yang (China) conservatories in Asia. He also offers tuition and masterclasses each summer at the Domaine Forget International Festival in Quebec. From 1997 to 2004, Paul served as Professor of Cello and Head of Strings at the University of Manitoba in Canada, and since 2004 has held the same positions at the University of Ottawa, where he now mentors an award-winning studio of young cellists. Paul has a special interest in new music, having been a frequent guest of the prestigious German group Ensemble Modern, and at the Winnipeg Centara, Almeida, Lviv Contrasts and Donaueshinger new music festivals. He has commissioned new works by Bramwell Tovey, Kevin Volans, Jocelyn Morlock, Michael Matthews, David Raphael Scott, Glenn Buhr, Jim Hiscott and Rodion Schedrin. As an orchestral principal player, he held the position of Principal Cellist of the European Community Youth Orchestra from 1986-8. He was also principal cellist of the Royal Liverpool Philharmonic Orchestra from 1993-7, and has appeared as guest principal cellist of the Royal Philharmonic Orchestra and National Arts Centre Orchestra. Paul was raised in London, England, where he studied privately with Robert Norris. He is a graduate the Royal Academy of Music where he studied with David Strange, and of the New England Conservatory in Boston (U.S.), where he worked with Colin Carr and Laurence Lesser to gain a Master's Degree and Artist Diploma. He completed his studies at Yale University with Aldo Parisot. In 1994, Paul was elected Associate of the Royal Academy of Music, and in that same year was honoured to perform as soloist for the Queen. Spanish pianist Leopoldo Erice enjoys a performing and teaching career, which has brought him to Europe, the two Americas, Asia, and Africa. Among his performances, the recitals with cellist Tsuyoshi Tsutsumi, clarinettist James Campbell, the Cecilia, Quiroga, Vega, and Penderecki String Quartets, and the Orquesta Sinfónica de Radio Televisión Española are especially noteworthy. He is a faculty member at the University of Ottawa (Canada), has been a member of the Faculty of Music at Wilfrid Laurier University (Canada), has held the position of Associate Professor of Music at the American University of Sharjah (UAE), and also has taught at Middle Tennessee State University (U.S.). Leopoldo has been guest faculty at Universidad Alfonso X El Sabio (Spain) and at Middlebury College (U.S.). In 2006 Leopoldo founded the Festival Internacional de Música Clásica de Ribadeo (Spain), a summer chamber music festival and workshop whose mission is to offer high quality programming, to bring culture closer to the general public, and to develop the artistic abilities of its students. The FIMCR has established itself as one of the cultural references of Northwestern Spain. Leopoldo has won several prestigious awards, including first prize at the Ciudad de Albacete National Piano Competition, and the prize for the best collaborative pianist at the Acisclo Fernández International Singing Competition, which he won by a unanimous jury vote. 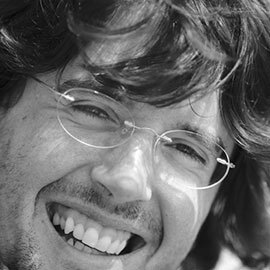 He has also made recordings for television and radio programs in Spain, Argentina, Syria, and the U.S.
Leopoldo studied music in his home country with José Ramón Martínez Reyero, Beata Monstavicius, and Joaquín Soriano (Real Conservatorio Superior de Música in Madrid), and in Holland with Rian de Waal (Koninklijk Conservatorium in The Hague). As a Fellow of the prestigious “la Caixa” Foundation Fellowship Program (Spain), he studied at the Jacobs School of Music, Indiana University (IU) (Bloomington, U.S.) under Leonard Hokanson, Menahem Pressler, and Emile Naoumoff. While at IU, he won by a unanimous faculty vote the coveted and rarely awarded Performer’s Certificate in recognition of his outstanding performance. He holds the degree of Doctor of Musical Arts from the State University of New York at Stony Brook (U.S.), where he studied under Christina Dahl. Since 2016 Leopoldo Erice has been a Permanent Resident of Canada, currently residing in Ottawa-Gatineau.